It is important for MCH leaders to possess policy skills, particularly in changing and competitive economic and political environments. MCH leaders understand the resources necessary to improve health and well-being for children, youth, families, and communities, and the need to be able to articulate and educate for those needs in the context of policy development and implementation. MCH leaders should have a firm understanding of the policy process, because they often must defend and educate on MCH resources in competitive economic and political environments. However,	data	from the MCH Navigator online self-assessment shows that professionals' understanding of the knowledge and skills that are necessary to incorporate policy into daily work are consistently lacking. This learning opportunity is a lecture from a course developed and presented by Arden Handler, DrPH, Professor, Community Health Sciences, Director, Center of Excellence in MCH and Co-Director, MCH Epidemiology Training Program at the University of Illinois at Chicago. 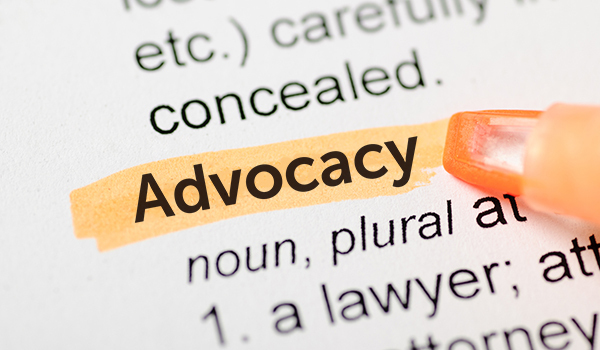 In the presentation, she outlines key advocacy components, the difference between case and class advocacy, and a review of policy and advocacy through the history of MCH. She explains current trends and the need for ongoing education and advocacy at national, state, and local levels. It concludes with current advocacy laws and a summary of the topic grounded in the current public health environment. Scroll down to access the 10 focused learning sessions of Dr. Handler's presentation followed by additional learning opportunities from the MCH Navigator and supplemental resources from the National Center for Education in Maternal and Child Health (NCEMCH) to put knowledge into practice. Click below to watch highlights from the session and access additional learning opportunities that support Dr. Handler's discussion. Dr. Handler discusses strategic differences between advocacy and community organizing/community empowerment strategies. class issues, compromise, internal vs. external agents of change, and the difference between advocacy from the left and from the right. Dr. Handler asks what it means to connect women and children's topics when advocating for services and discusses using children as a population group to address broader issues of social justice. Dr. Handler explains how case advocacy -- that done on behalf of individuals -- differs from class advocacy -- that conducted on behalf of a group or population. This segment describes how MCH advocacy began with the child labor movement as part of the historical progressive movement that sought reform in all areas of health and welfare by including the government in solving problems. The history of policy change and advocacy is traced from the early 1900s, through the Great Depression, the Civil Rights and Women's movements, to a focus on health equity and lifecourse, to racial justice and present challenges and opportunities. Why do we Need Advocacy on Behalf of Children? Dr. Handler reminds us that children are not visible in the political process, especially children from vulnerable populations and that the benefits of preventive health services are difficult to measure. The advocacy process -- from identifying the "problem" that advocacy needs to be built upon to data collection to support your argument to educating the public, key stakeholders, and those who have the power to make change -- is described along with tools needed to move the process along. This process ends with developing recommendations for policy change through three main approaches: legislative, administrative, and legal advocacy. Dr. Handler explains practical activities to educate stakeholders -- from serving as an expert to spreading information to organizing the community. These activities fall under the three main approaches for policy change. Looking at different types of non-profits, Dr. Handler explains how different rules apply to organizations. She explains how the IRS defines "direct lobbying." Seven activities that are not considered lobbying are detailed with examples. Dr. Handler explains the issues in the MCH/public health policy process, including the fact that no one voice acts on behalf of women and children, the presence of class and race issues, and that radical change may have to give way to incremental change. Differences between advocating for mothers/families and children are explained, and strategies for effective communication of these differences are presented. These training are drawn from the Navigator's course catalog and are organized by the knowledge and skill sets that define Competency 12: Policy. 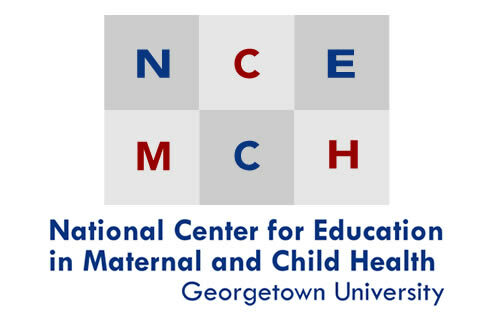 This brief list of resources from the National Center for Education in Maternal and Child Health (NCEMCH) presents an overview of MCH policy and advocacy. Bruner CH. Philanthropy, advocacy, vulnerable children, and federal policy: Three essays on a new era of opportunity. 2009. Des Moines, IA: NSCI Clearinghouse and The Child Family Policy Center. Genetic Alliance, Parent to Parent USA, Family Voices. Advocacy ATLAS: Accessible Tools for Leadership and Advocacy Success. 2013-. Washington, DC: Genetic Alliance. Global Health Council. Global health advocacy manual. 2004. Washington, DC: Global Health Council. Grantmakers in Health. Building capacity for health advocacy at the state and local level. 2010. Washington, DC: Grantmakers in Health. Tappin K. Inequities in maternal and child health: An analysis of policy, practice, and social determinants over the life-course. 2015. Greenbelt, MD: Mid Atlantic Health Policy Research Consortium. Trust for America's Health. Healthy Communities Navigator: Cross-sector grants, success stories and policy papers. 2016-. Washington, DC: Trust for America's Health.